Journal of Geodesy and Geoinformation is a peer-reviewed, semiannual (May and November), open access journal, which covers original scientific manuscripts, published by UCTEA Chamber of Surveying and Cadastre Engineers, Turkey. In parallel with the scientific and technological developments, Journal of Geodesy and Geoinformation publishes researches and studies about geomatic engineering and related interdisciplinary sciences. The journal was first published in 1965 under the name of “Harita ve Kadastro Mühendisliği Dergisi”, and then named as “hkm Jeodezi, Jeoinformasyon ve Arazi Yönetimi Dergisi” from 2003 to 2011. In 2012, the journal was called as “Jeodezi ve Jeoinformasyon Dergisi”, and it has been published until today. 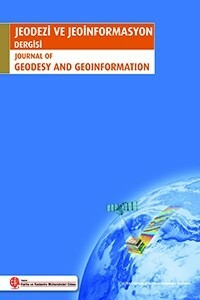 For the Journal of Geodesy and Geoinformation, the manuscript submission is now available from http://dergipark.gov.tr/hkmojjd. The publication language of the manuscript is in Turkish or English. The Journal makes the similarity check to all submitted manuscripts for avoiding plagiarism. The plagiarism check percentage should not exceed 25%. The Journal of Geodesy and Geoinformation, which aims to reach both scientists and professional engineers with the original scientific studies, effectively maintains its efforts to involve in first national and then international scientific indexes. We would like to inform our readers and authors.